Thanks to I Am The Trend for this great post. They've been big supporters of our brand since we came on the scene 2 years ago. If you're interested in knowing what's happening in the current tshirt community check out their website. 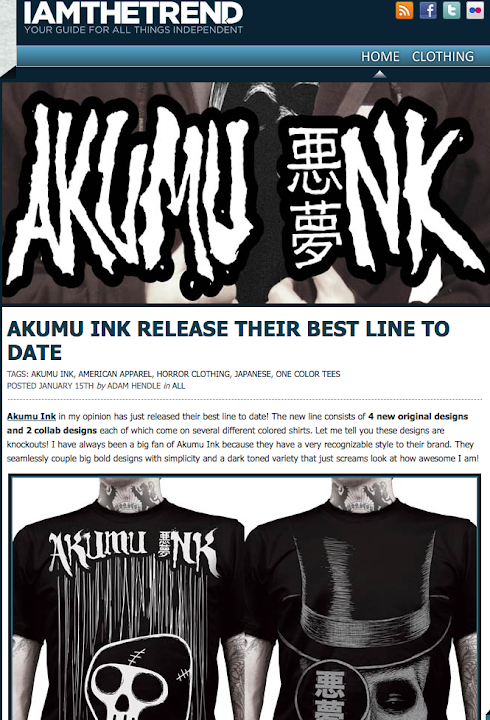 They have interesting video updates and interviews with the hottest indie tshirt brands out right now.